Saturday was an absolutely beautiful day. The temperature was in the 70s. I opened the windows in the house to air it out from a long, dreary winter and spent the majority of the day enjoying the outdoors. 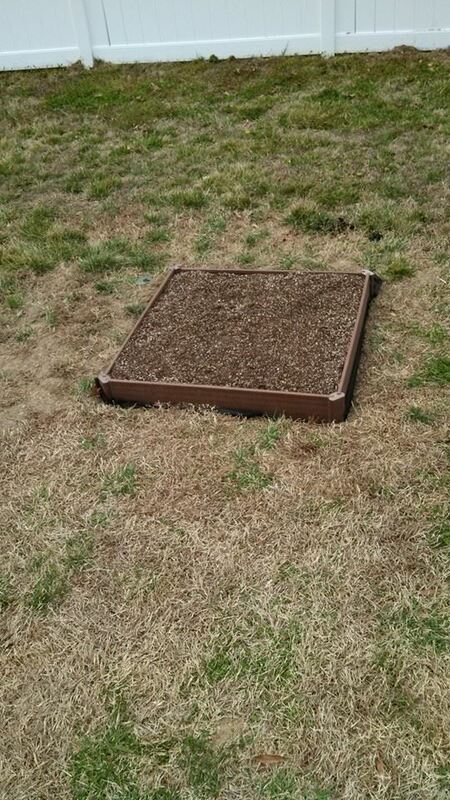 Last year, for my birthday, my mother gave me a square foot gardening box. It was already too late in the year for me to get motivated to put the box to work by the time she presented me with it. It gets hot early around here. The kit has been languishing on the top of my workbench since bringing it home last May. The guilt for not using it yet has been eating away at me. Because the weather was so fine, I decided to finally put that garden box to work. First I assembled it and cut the turf all around the box. Then I moved the box aside and started cutting the grass out of the square. By this time, the boys had come out to see what was going on. One of them relieved me of my shovel, the other boy scared up a second shovel, and together they finished removing all the grass from the square. 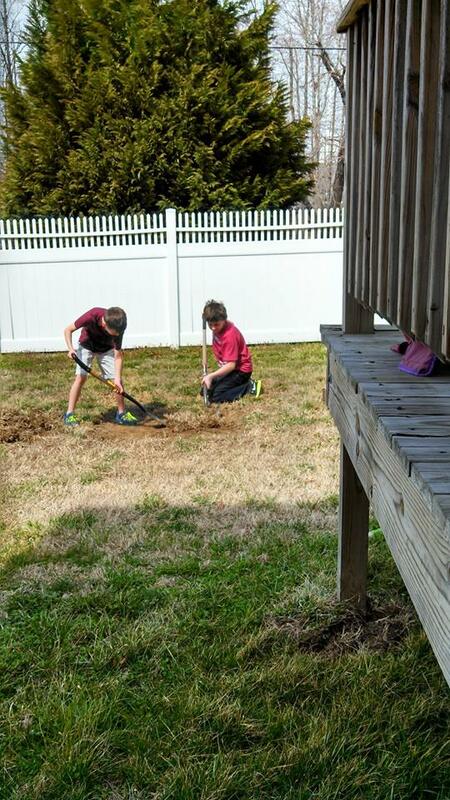 The youngest then took all the grass that was removed and used it to fill holes in the yard while the eldest leveled the square and raked the bare earth smooth. Determined to do this square foot gardening thing properly, I ran out to the store with youngest boy to obtain the necessary ingredients to fill the box. We managed to find the weed cloth, peat moss, and compost at Home Depot, but had to make a quick run to Cross Creek Nursery to find vermiculite. I held off buying plants despite my son’s pleading because we are due to have a wintery mix of weather tonight. I almost succumbed, but managed to resist. After all, our frost date is April 15th. About the only thing that can go in the ground right now are peas which should wait a week or two anyway seeing as it’s below freezing right now. Youngest boy helped me mix all the ingredients and supervised the filling of the box. I have to say, I’m quite chuffed with myself for getting it all prepared in time to get crops in the ground. In fact, it is very tempting to get a second box so that I can grow even more things. We’ll see if I get around to it. First I need to figure out how to put a trellis on the north side so the peas, cucumbers, and beans don’t take over the yard. Provided I can get anything to grow, that is. I’m really bad at this. Enthusiastic in the planning, but terrible in the execution. Now, to plan what to plant and where to plant it. I hope this goes well.